I’ve been using the newly-released SFML 2.0 as an excuse to learn C++. It’s been quite interesting. 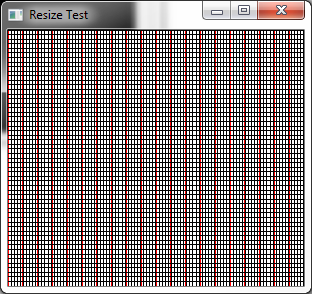 While messing around with the SFML graphics capabilities I found that I can’t seem to reliably re-size the SFML render window without the contents getting completely scrambled. This produces a striped image. Neat. 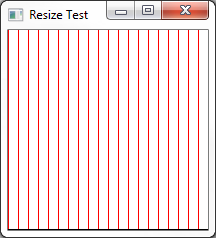 Ok, now I’ll re-size my window. Oof, not so neat. 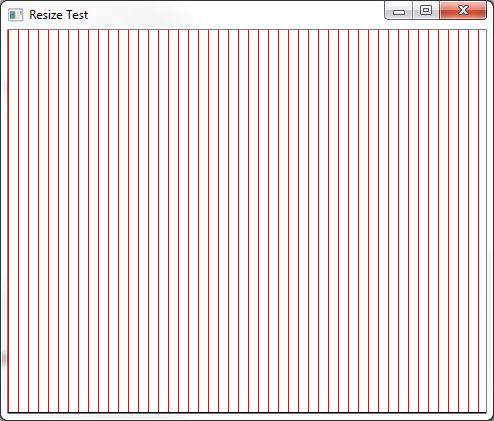 But, it kind of looks like it’s taking my 200 x 200 array of data and stretching it across the window equally. That makes sense, I suppose. 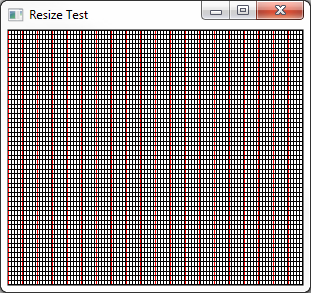 Well, the RenderWindow class can detect when it’s resized, so what I’ll do is capture that event and re-calculate what I’m displaying to be correct to the new size. Here’s main() with some re-size detection code that re-runs the function that generates the array of points that gets plotted. I’ve done this several ways, but no dice. There is one lingering problem. After I release the edge the window, the whole window “jumps” to a slightly different location. This must be the result of re-creating the window. It’s first closing it, and then re-creating it. I wonder if there is a way to put it back right where it was, or if there is a more graceful solution. To return the new window to where the old window was, perhaps save the position of the old window and set it to the new one?